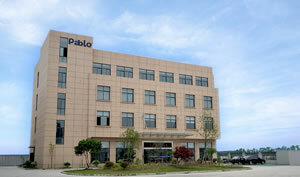 Shanghai Pablo Kitchenware & Sanitary Ware Co.,Ltd. is an ISO9001 certified kitchen sink manufacturer. With a huge selection of stainless steel kitchen sink and granite kitchen sink, we can help you find the ideal sink for your home, whatever your kitchen size or style. Our manufacturing plant covers an area of 10,000 square meters, and is equipped with highly automated production equipment, which contributes to our large production capacity, and enables us to fill customers' orders quickly. At PABLO, we have a team of highly experienced design engineers, who are dedicated to making your kitchen more appealing and more functional. In addition, our quality control personnel rigorously test our products to guarantee their long service life, giving customers a sense of security. Our expert sales team is also available to assist with your purchase. We at PABLO produce a wide range of kitchen sink, which come in a variety of styles, including single bowl, double bowl, overmount, undermount, and many shapes, sizes, colors and materials, to suit any kitchen scheme. Our stainless steel kitchen sinks are created with 1.0-1.2 mm thick 304 stainless steel, so they are aesthetic, durable, abrasion resistant, easy to install and clean. Our granite kitchen sinks are resistant to oil stains, scratches, and high temperatures, and are beautiful. With accessories like imported oak cutting boards and basket strainers, our kitchen sinks make it easy for you to complete kitchen tasks quickly and efficiently. In order to improve the use of your sink, we provide customers with stainless steel faucet and kitchen hanger, as well. Our faucets are treated using a wiredrawing technique, instead of electroplating. They also contain no lead, so they are completely safe to use. We are located in Shanghai, a port city in China. Here, we have easy access to raw material suppliers and convenient air, land, and sea transportation, which not only reduces our production costs, but also saves our customers on shipping charges. It also makes it convenient for global customers to visit us! We now have customers from the USA, France, Germany, Japan, South Korea, and many other countries. 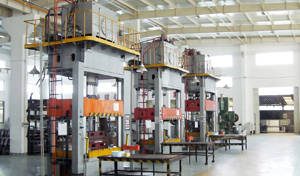 We use only qualified raw material such as the SUS304/2B stainless steel, and adopt high-tech numerical control equipment and precision mould during production. These, coupled with rigorous quality controls during each production step, make sure our kitchen sinks offer great durability and functionality. Brand concept: Only with rich knowledge can we select the essence from it; only with substantial accumulation can we release it progressively. Development concept: Be perfect, keep improving. Enterprise spirit: Active and perseverant. Design concept: Diversification, functionalization and humanization. Product concept: European taste, British style. Product positioning: Simple but elegant, gorgeous but not luxurious. Service tenet: Provide wholehearted service to customers. 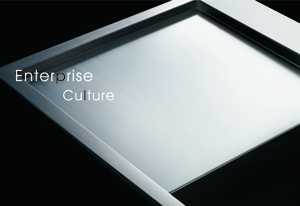 Strategic objective: To be the first-class stainless steel brand appreciated by customers.